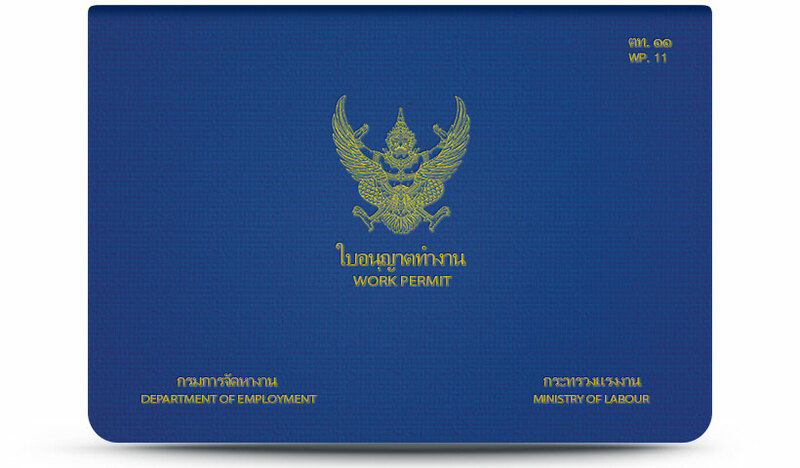 If you are an expatriate working in Thailand, a Thai Work Permit should be one of your basic must-haves. As a matter of fact, it would be illegal to work in Thailand without your Work Permit. As an employer or employee, it would be best to be well-informed about the process of applying for and retaining a Work Permit. Working for an establishment with a registered capital of at least 2,000,000 Baht. One expatriate can be hired for every 2,000,000 Baht of capital but not more than 10 expatriates. Working in an establishment, which has already paid income tax to the Revenue Department in the past 3 years not less than 5,000,000 Baht. For every 5,000,000 Baht tax payment is allowed to hire 1 expatriate. Working for an establishment, which engages in export business and remit foreign currency of at least the equivalent of 3,000,000 Baht last year. For every 3,000,000 Baht, an establishment is allowed to hire 1 expatriate but not more than 3 expatriates. An expatriate who has an income and duty to pay personal income tax to the Revenue Department of equivalent or more than 18,000 Baht, or already paid personal income tax in the past year of equivalent or more than 18,000 Baht. If you are an expatriate working for a representative office conducting quality control, procurement, or marketing research. If you work for investment consulting, administrative consulting, technical and technology, or periodical internal audit. If you are a Tourism representative who brings in foreigners to travel in Thailand. If you are employed under International financial institutions approved by the Bank of Thailand. If you are in the temporary business of entertainment, religious, social welfare, cultural or sporting without intention to make profit and paying income tax to the government. If you are working as a contractor on projects with any government bodies or state enterprises. If you work using mostly local raw material as an essential component in the production process or work that can reduce the use of imported raw material. If your work involves supporting export of Thai products. If you are working to bring in new technology, which Thai people are not capable of, in order to distribute and transfer to Thai people. If you work in the area where there is a shortage of Thai labor. If you can provide certificate of residence in Thailand. If you are married to a Thai citizen with a legalized marriage registration, publicly cohabiting as husband and wife, and with a legal profession. You must carry your work permit or keep it in the office during working hours to show to government officers any time. A fine of not more than 1,000 baht will be paid by those who violate this. You must only perform the work according to the occupation stated in your work permit. You should apply for the revisions should you change occupation or office address. If you violate this rule you can be imprisoned for not more than a month or fined not more than 2,000 baht or both. You must apply for an extension before the expiration date if you intend to continue working in Thailand. Should you fail to do this, you can be imprisoned not more than 3 months or fined not more than 5,000 baht or both. If your work permit is damaged or lost, you must apply for its replacement within 15 days from the date he/she knows about the damage or disappearance of the work permit. If you fail to do so, you will be fined not more than 500 baht. You need to inform the Employment Service office to update your personal information should you change any of it as stated in your Work Permit. In case of resignation, you must return your work permit within 7 days from the date of your resignation. If you are found violating this, you will be fined not more than 1000 baht.